Your Children Can Help Name a Future RCMP Musical Ride Horse. The RCMP are asking for help in naming twelve foals that will be born this spring at the RCMP breeding farm in Ontario. Superintendent Kevin Fahey says this is the 80th anniversary of their breeding program and they can’t think of a better way to name the foals that are born at their farm than by asking kids across Canada to help them. Up to twelve winning names will be selected including one classroom entry. To qualify names must begin with the letter”R”, participants must be 14 years old or younger, only one entry per child will be eligible, contestants must live in Canada, entries must be received no later than April 30th. The children whose names are selected will each receive a prize pack that includes a photo of the foal they named, a certificate signed by the RCMP Commissioner and an engraved horse shoe. 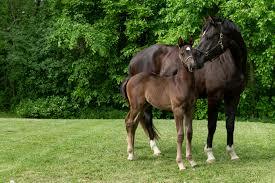 The winning classroom will receive a framed photo of the foal they named along with the signed certificate. To enter on line or to get the mail in address go to your favorite search engine type in name the foal contest 2019.